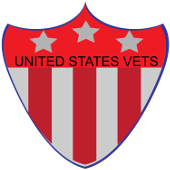 Veteran History - US Vets Inc. 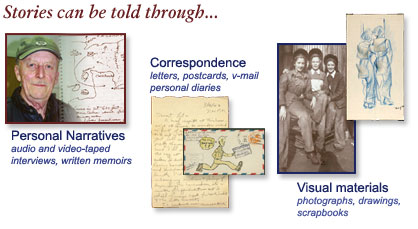 The Veterans History Project of the American Folklife Center collects, preserves, and makes accessible the personal accounts of American war veterans so that future generations may hear directly from veterans and better understand the realities of war. In addition, those U.S. citizen civilians who were actively involved in supporting war efforts (such as war industry workers, USO workers, flight instructors, medical volunteers, etc.) are also invited to share their valuable stories. How did the Veterans History Project start? The United States Congress created the Veterans History Project in 2000. The authorizing legislation (Public Law 106-380), sponsored by Representatives Ron Kind, Amo Houghton, and Steny Hoyer in the U.S. House of Representatives and Senators Max Cleland and Chuck Hagel in the U.S. Senate, received unanimous support and was signed into law by President William Jefferson Clinton on October 27, 2000. AARP is the founding corporate sponsor of the Veterans History Project. In addition to providing initial major funding for the Project, AARP also spread the word to its legion of volunteers and almost 37 million members, encouraging them to get involved. Numerous state chapters have also been involved in the Project. The Veterans History Project is made possible by the generous support of the United States Congress.